Rolling-element bearings (REBs) faults are one of the most common breakdowns of rotating machines, thus proposing effective bearing fault diagnosis and classification methods is vital. In previous studies, lots of bearing fault classification methods have been proposed to solve the problem in low signal-to-noise ratio (SNR) conditions. Though satisfactory classification results have been obtained, in consideration of the practicability and application scenarios, there are still many aspects to improve, such as the complexity of method and the classification ability in lower SNR conditions. 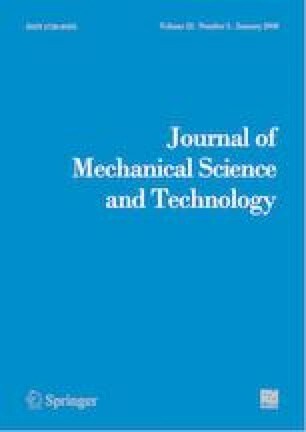 Therefore, this paper presents a novel method that combines lower-order moment spectrum with support vector machine (SVM) for bearing fault classification in low SNR conditions. The lower-order moment spectrum reduces influence of Gaussian noise and enhances the quality of fault feature. A bandpass filter group (BPFG) has been used to reduce the dimension of the lower-order moment spectra (LOMS) as feature vectors. And a following SVM has been applied as the fault classifier, due to the mature application and satisfactory performance in fault classification. The proposed method is demonstrated to have strong ability of classification in low SNR conditions experimentally. Qinyu Jiang received his B.S. degree from Shandong University, Weihai, China, in 2014. He is currently pursuing the Ph.D. degree with the School of Control Science and Engineering, Shandong University, Jinan, China. His research interests include fault diagnosis and classification, pattern recognition and intelligent system. Faliang Chang received his B.S. and M.S. degrees from Shandong Polytechnic University, Jinan, China in 1986 and 1989, respectively. He received his Ph.D. degree in Pattern Recognition and Intelligence Systems, Shandong University, in 2003. He has been a Professor in Pattern Recognition and Machine Intelligence with the School of Control Science and Engineering, at Shandong University since 2003. Now, his research interests include pattern recognition, computer vision, image processing, and multi-camera tracking methodology. Case Western Reserve University Bearing Data Center, https://doi.org/csegroups.case.edu/bearingdatacenter/home.